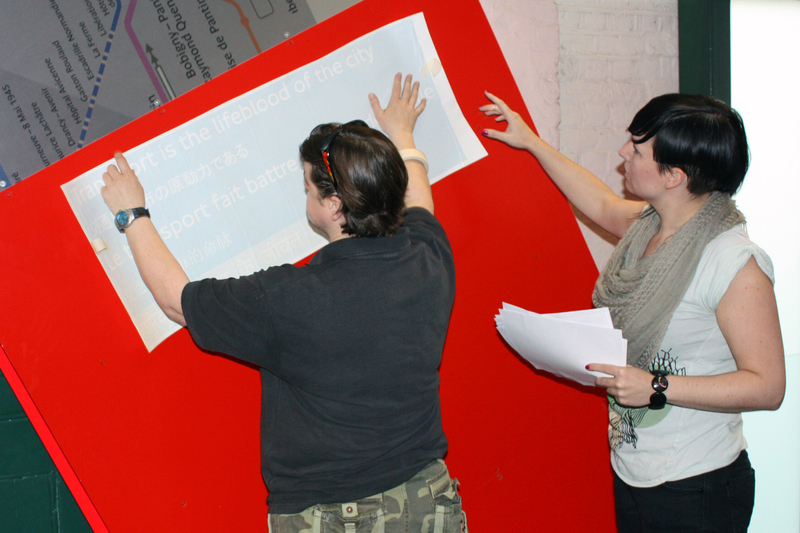 I arrived at the Museum bright and early this morning to join the wonderful Vicky from Design and Kath from Displayways for the installation of new text panels and graphics in our World city walk gallery. It’s always exciting to see the outcomes of projects we’ve been working on go into the main galleries. I was particularly excited about this one as it has involved contribution from the public, the Museum’s Young Consultants, along with past project participants. 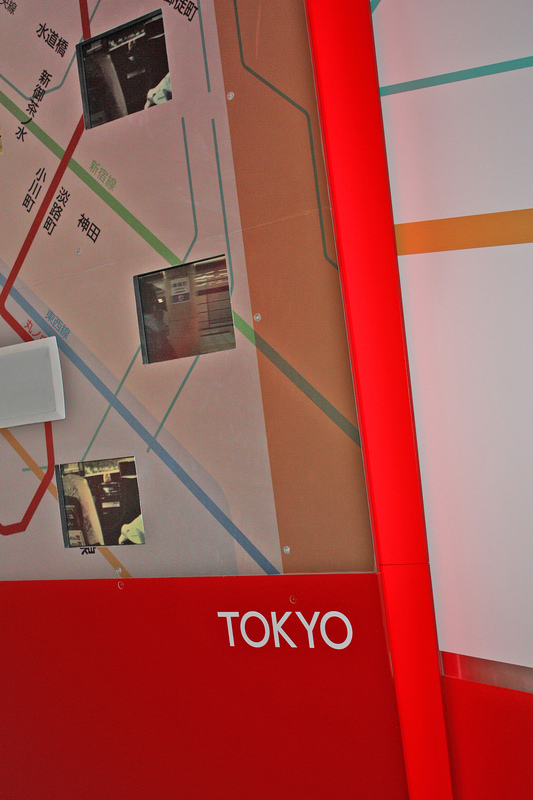 The World city walk enhancements are one part of our extensive Stories of the World programme. Earlier last year we ran a number of focus groups with members of the public to explore the programme’s development. 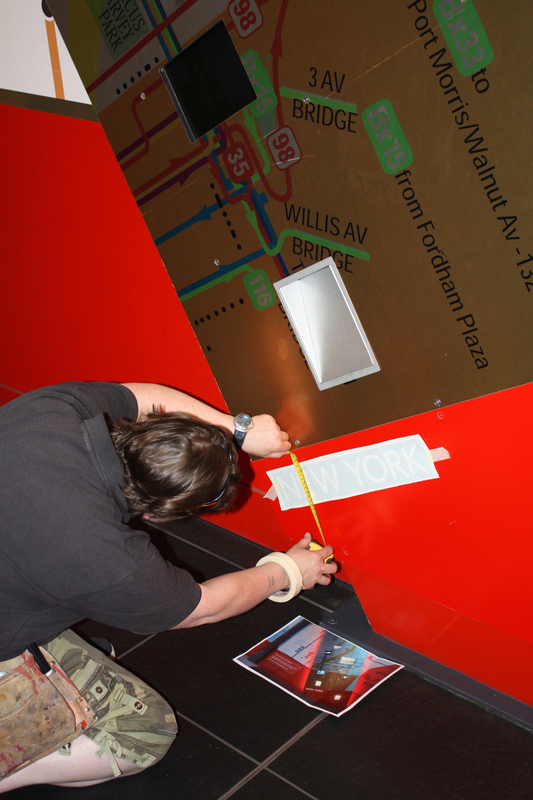 As part of this we asked participants for feedback on the World city walk gallery. 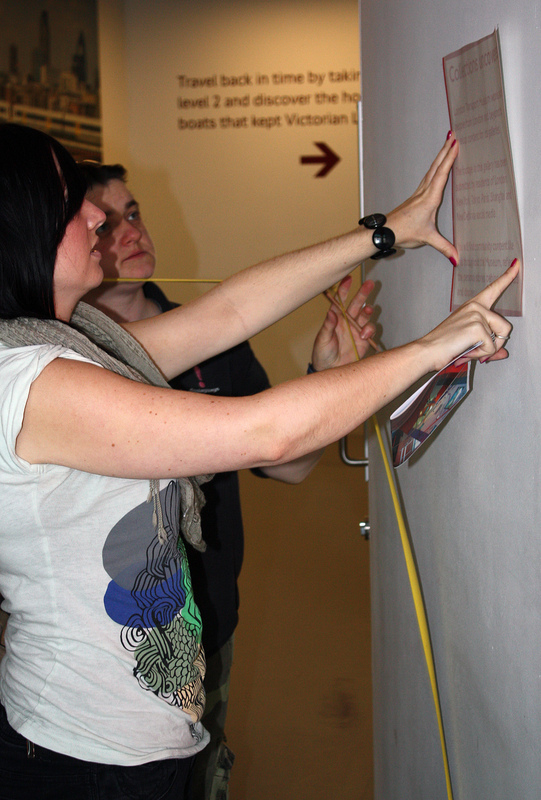 Our Young Consultants also reviewed the gallery and came up with a number of ideas for enhancements. In fact, this was one of the first curatorial projects that the Young Consultants were involved in so it’s great that they’ll get to see its completion. In terms of feedback, people agreed that the gallery was visually impressive, but wanted further information about its key messages. 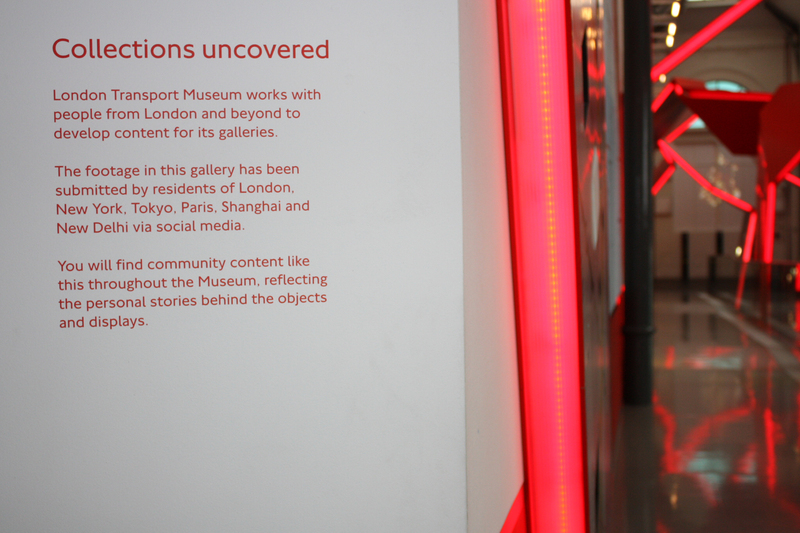 The Young Consultants were keen to emphasise that some of the content going into the Museum’s galleries was developed in partnership with individuals and organisations from London and beyond. So how did we do this? 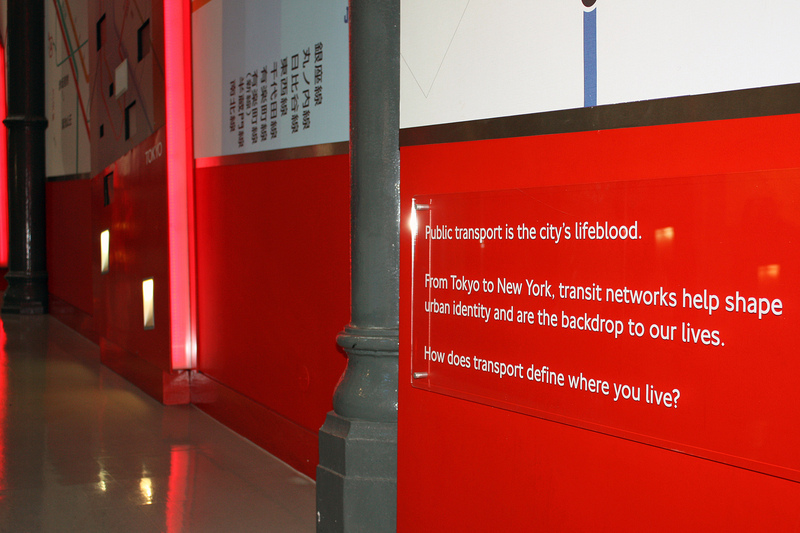 The World city walk gallery invites people to explore the similarities and differences in transport modes and usage across different world cities, whilst exploring the key message that ‘transport is the lifeblood of the city’. This statement is now one of the first things that visitors will see as they enter the gallery. 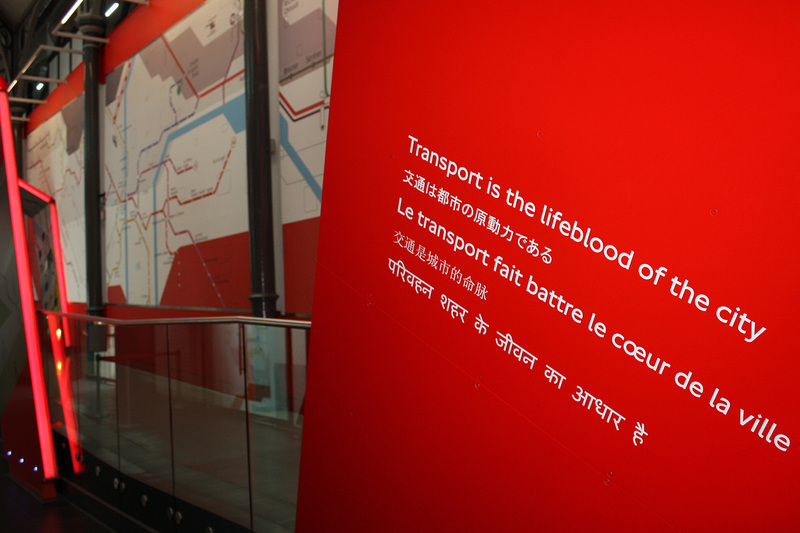 Along with being printed in English, it has been translated into Japanese, French, Mandarin and Hindu to reflect the languages spoken in the world cities that feature in the galleries. The Museum is very keen to maintain links with people who’ve taken part in our projects and we asked some of our contacts to assist with the translations. Along with an introductory text panel and prints of the city names that feature, we also have a text panel explaining that some of the content featured in the galleries was co-created with the Museum’s audiences. We’re looking forward to installing a number of outcomes from engagement projects over the next few months.